Part of the pleasure of hunting is truly connecting with the earth, but that doesn't mean you can't throw a few high-tech gizmos into the mix. You can't get much more high-tech than you can with the game calls from FOXPRO. 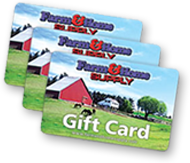 That's why Farm and Home Supply keeps these guys around. The FOXPRO high-performance game calls are amazing, electronically mimicking a huge range of sounds that your game can't resist. One example is the Deadbone caller, which comes with 15 different sounds and the ability to play two sounds at the same time. And that's just the entry-level version. 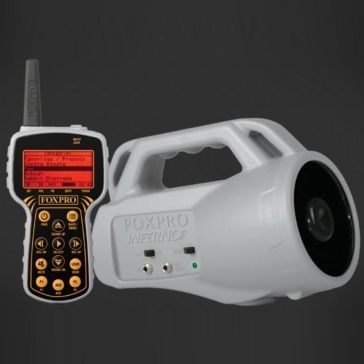 FOXPRO lets you get even more advanced, with lightweight, battery-operated callers that are as easy to haul around as they are to use. Did we mention they come with remote controls? Add another layer of allure to the hunt by coupling your caller with the brand's decoys. The Jack Jr. decoy comes with a standard bird topper that resembles a woodpecker. 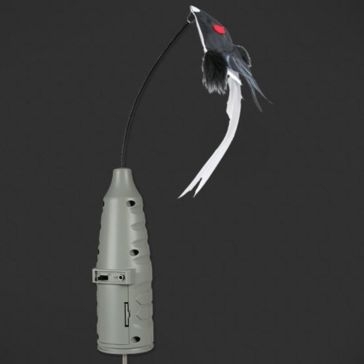 You can again use a remote to control the jacked-up motion of the bird decoy, letting you choose the best vantage point for targeting game. You can't go wrong with FOXPRO. Shop now.